Melbourne Water is replacing the aged 1890’s built underground main water pipe that runs under Punt Road from South Yarra to St Kilda Junction. The good news is the 3 kilometre replacement pipe, it would appear, will NOT be laid along Punt Road that would cause massive traffic issues during the expected 12 months of construction. Instead a parallel route mainly to the west of Punt Road and an eastern route nearer the Junction has been chosen. 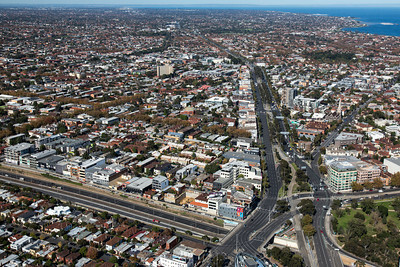 The M39 South Yarra to St Kilda water main renewal will secure water supply for around 97,000 homes and businesses in the inner south east suburbs from South Yarra to Port Melbourne including our JAAG area and will serve our current and future demand requirements. Melbourne Water will construct a new water main of approximately three kilometres in length, from Alexandra Avenue, South Yarra to Barkly Street, St Kilda, to replace the existing water main. The new water main will be located in residential streets, with one short section running in Fawkner Park and another 80-metre section in Punt Road. Construction commenced in October 2014 and will take around 12 months to complete.